Before becoming president of Lennar International, the global engagement arm of one of the nation’s leading homebuilders, Chris Marlin was an Arkansas native working as a labor and employment lawyer in Orlando. Today, Mr. Marlin is still an Arkansas native – the only American on his team at Lennar International – but he’s found his passion in life. “Life is a winding road,” he said, adding that he’s lucky to have found a job he’s passionate about, even though he would have never guessed it would mean he would have the opportunity to work in Miami and be responsible for a homebuilder’s global engagement. He doesn’t have a typical day-to-day schedule, but when it comes down to it, he helps connect Lennar to people who want to buy homes in America every day. In addition to that, he, along with his team, execute Lennar’s EB-5 programs, with two of the most notable projects being the forlorn Treasure Island and Hunters Point Shipyard former US Navy bases in California. Worldwide volatility, he said, is his biggest challenge. From here at home in the US to Venezuela to China to North Korea, volatility is all around us. 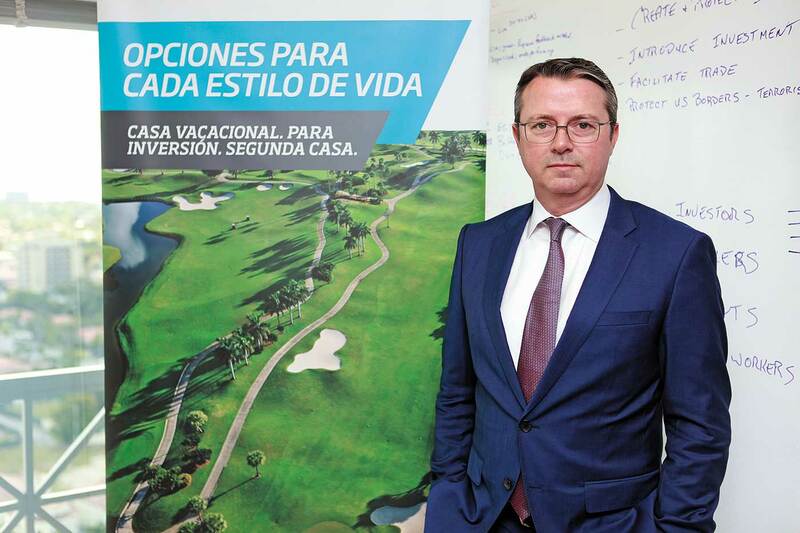 His job, Mr. Marlin said, is to serve the needs of Lennar’s foreign buyer populations. Those needs vary widely, he said, as they’re driven, in part, by what’s happening right around them. Today, Lennar International is trying to keep up with the pace of growth of Lennar while also looking for new ways to engage foreign customers. While he said there will always be challenges, Mr. Marlin says there is reason to be optimistic that the new US administration will ease up on US regulations, alleviating pressure on some market segments. Miami Today reporter Camila Cepero interviewed Mr. Marlin at Lennar’s temporary Coral Gables offices.